D.I.D ASIA CO.,LTD. 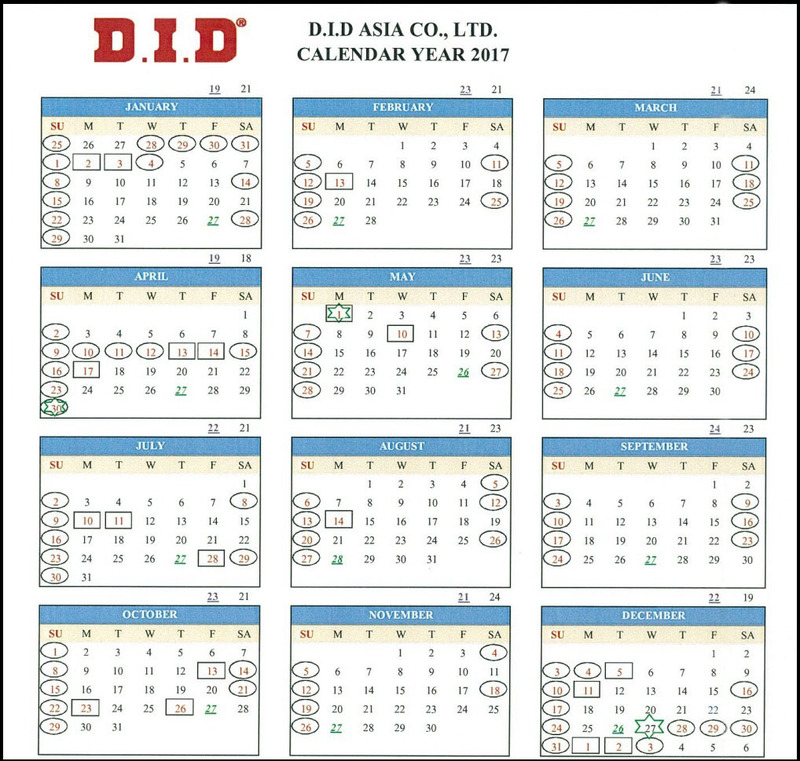 | NEWS | D.I.D ASIA CALENDAR 2017D.I.D ASIA CO.,LTD. 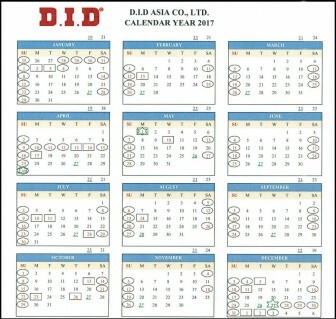 Our company would like to announce Holiday D.I.D Asia Calendar 2017. For purpose let customer, supplier, related company know our holiday in advance.